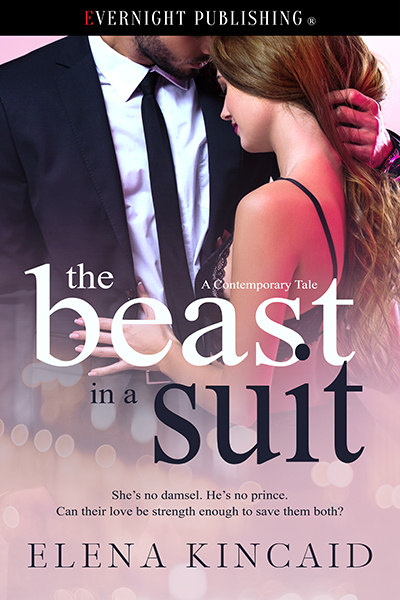 Thanks so much for hosting The Beast In A Suit (A Contemporary Tale). This story is an office romance with a modern twist on a classic tale and the first in a brand new series. The rest of the series will take on a different fairy tale and continue with the office romance theme. She’s no damsel. He’s no prince. Can their love still be strength enough to save them both? Twenty years later, and the hole inside Emeline’s soul only got bigger, mourning the loss of her mother and brother and what could have been. A stranger comes along with changes to a career she loves, but will it be for the better and will he end up changing her, too? Adam has been closed off to the world for nearly two decades, existing but not living. He doesn’t even realize the shell of a man he’s become until a woman he’s slowly falling for makes him examine his own reflection. A modern twist on a classic tale filled with desire, passion, and one dangerous obsession. The truth was, she had forgotten about his threat. With the way he turned the company around along with giving her his friendship, not to mention the fact that she was in love with him, she was happy there again. She hadn’t thought about quitting or about going out on her own. The fact that he remembered and was apologizing for it and even willing to let her go without any repercussions stunned her. She had already forgiven him a while ago. “You would?” He sounded surprised, hopeful even, and the look on his face confirmed it when she raised her head. “And what about you, Adam?” she asked. “Do you intend to stay?” She knew it was a premature question, given the fact that it would be some time before he could present a tempting sale, but she felt like she needed to know if he even considered the possibility of actually keeping the company and running it himself. They were so close now, their faces mere inches apart. Emeline couldn’t even remember how they had gotten there, but now she only wanted to be closer. “Adam,” she whispered, right before he closed the final distance between them and kissed her. His kiss was soft, tentative at first, as if gauging her reaction, but when she wrapped her arms around him, he deepened it, moaning into her mouth as their tongues finally met and entwined. Finally, she got her wish and fisted her hand in his thick locks. His hair was soft, just as she’d imagined. Even his beard was soft against her skin. And God, he was such a great kisser, exploring her mouth thoroughly, lips and tongues feverishly connecting. It was her turn to moan when he pulled her onto his lap and his hands began to roam down her back, her arms, and skimming down the sides of her breasts. He stopped kissing her lips long enough to move down to her jaw, her neck, and then all the way down to that deep V in the center of her cleavage, eliciting another, much louder, moan from her. She was so lost in him, she hadn’t even realized at first that they were no longer moving, had no idea when they had stopped. Adam took notice of it, too, and paused his attentions to her. They were both panting as they stared at one another, and this time it was Emeline who leaned in and kissed him. She whispered, “Stay,” against his lips, the ache inside her for him too great to be able to part with him. He practically growled in response and the two of them poured months of longing into their next kiss. “I’m going to devour every single inch of you,” he said. Elena Kincaid is an award-winning and Amazon best-selling author. She writes Paranormal and Contemporary Romances with alpha males who stop at nothing to protect their women, heroines who are anything but damsels in distress, and stories where the only love worth fighting for is the forever kind of love. She was born in Ukraine and raised in New York, where she currently lives with her daughter. Her desk is constantly cluttered with journals, sticky notes, and torn-out pieces of paper full of ideas. When not working, Elena loves to spend time with her family, travel the globe, curl up with a good book, and catch up on her shows.